We're nearly finished Deb Marshall's #MiddleGradeMay Reading Challenge and I've already surpassed my goal of reading at least 10 MG books (I read 12). Next week, I'll be interviewing Jennifer Angus and giving away a signed hardcover copy of her book as part of the blog tour for In Search of Goliathus Hercules. So be sure to come back for that. Synopsis (from Indiebound): Eleven-year-old musical prodigy Elvis Ruby was supposed to win the most coveted reality show on television, TweenStar. None of the other contestants even came close to his talents. But in the middle of the biggest night, with millions of people watching, Elvis panicked and froze on national TV. 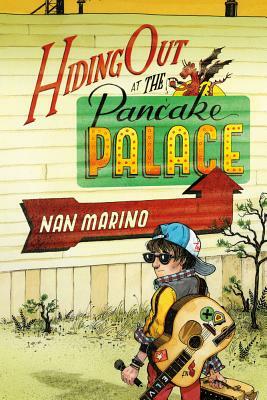 So Elvis must run from the paparazzi camped outside his door and spend the summer working with his aunt and cousin at Piney Pete's Pancake Palace in the remote wilds of New Jersey. It's the perfect place to be anonymous, that is until Elvis meets Cecilia, a girl who can't seem to help blurting out whatever's on her mind. Have you read any middle grade books where the setting becomes a character? I'm taking a break from reading "funny" middle grade books for research. (See this post for more explanation.) Hey, fifteen in a row is a little hard to take! My brain wants more substance. For MMGM (brainchild of Shannon Messenger) and for Deb Marshall's May Middle Grade Reading Challenge, I've read three books that most people would consider more serious. Two of them I've read before, but not for many years. Synopsis (from Indiebound): Widge is an orphan with a rare talent for shorthand. 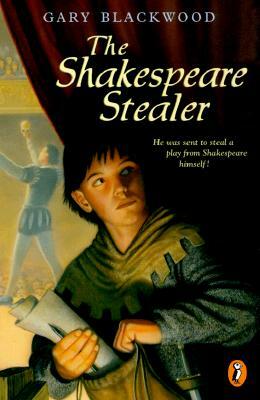 His fearsome master has just one demand: steal Shakespeare's play "Hamlet"--or else. Widge has no choice but to follow orders, so he works his way into the heart of the Globe Theatre, where Shakespeare's players perform. Why I liked it: Plenty of action and intrigue. Widge is highly entertaining as he tells his story and there's an impressive amount of character growth here. The Elizabethan details are spot on. If you like historical fiction, and especially if you're a Karen Cushman fan, you'll love this book. One caveat: Aye, Widge's broad Yorkshire dialect is a tad annoying. Once he moves to London and joins the Players, he learns to say "I think" instead of "I wis." But he continues to spout sentences like: "Oh, gis! 'A must ha' maggots in his brain!" (p. 196) If you're not fluent in Yorkshire, it takes a while to adjust. I first read this book many years ago when I first started working at the bookstore, but never finished the trilogy (maybe it was that Yorkshire dialect). I re-read it because on a recent trip to the library I spied the second book on the shelf. 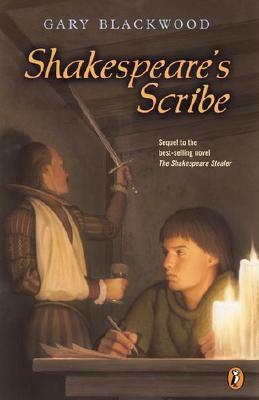 Synopsis (from Indiebound): When an outbreak of the deadly Black Plague closes the Globe Theatre, William Shakespeare's acting troupe sets off on a tour of England. Widge, the orphan-turned-actor, knows that he'll be useful on the trip. Not only does he love the stage, but his knack for a unique shorthand has proven him one of the most valuable apprentices in the troupe. But then a mysterious man appears, claiming to know a secret from Widge's past -- a secret that may forever force him from the theatre he loves. Why I liked it: Now that Widge is firmly entrenched in Shakespeare's troupe of actors, I feel even more involved in the story. And learning more about his past is fascinating. I can't wait to read the third book, Shakespeare's Spy. Even that Yorkshire dialect gets easier to take after a while. Note: these books MUST be read in order. The Secret Garden by Frances Hodgson Burnett (Hardcover, J.B. Lippincott, Tasha Tudor illustrations, 1962, for ages 9 to 13). Synopsis: If you don't know the plot by now, this is the beloved early-twentieth-century story of Mary Lennox, orphaned when her British parents die of cholera in India. She travels to Yorkshire to be the ward of her uncle Archibald. With nothing to do and no friends at first, spoiled, sickly Mary eventually discovers a secret garden and healing ensues. 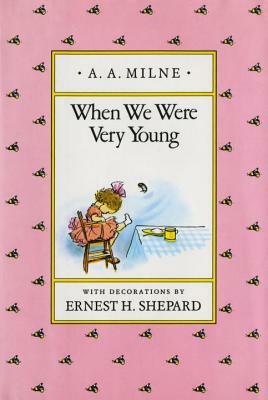 My thoughts: I loved, no adored, this book as a ten-year-old and even older. I re-read it periodically, always in springtime when the buds are bursting into bloom on my cherry tree. I still have my much-loved 1962 edition with the gorgeous Tasha Tudor illustrations. What did I think after this re-reading? First, the racism really got to me. Anyone would be horrified at the way Mary describes the "natives" ("They're not people--they're servants who must salaam to you."). Apparently in 1911, when this book was written, this was acceptable. Makes me shudder, and realize how far we've come, thank goodness. Second, oh, aye, tha' munnot fear, but it's that Yorkshire dialect! Burnett gives the apostrophe a good workout. As much as I love Dickon, the Yorkshire lad who befriends Mary, it's difficult to read his words ("There's naught as nice as th' smell o' good clean earth..."). And to think, I read this out loud to my kids twenty years ago. How did I do that? Third, this book starts out with Mary as the main character, but by the end, Mary fades into the background and her cousin Colin is more important. Despite these flaws, I still love the book for its hymn of praise to springtime and the healing power of running around in the fresh air. This is a wonderful time of year to read it. But if you know a middle grader who is reading it, you might consider discussing it with them. Have you read The Secret Garden recently? What did you think? ... to figure out how to write a humorous middle grade novel, I've been researching till my eyes are bleary. Researching? I mean reading, of course! And it all fits in perfectly, not only with MMGM (See Shannon's blog for the other links) but also with Deb Marshall's Middle Grade May Reading Challenge! So besides Timmy Failure (last week's recommendation), what did I read so far? Three paperbacks I purchased at my local used bookstore. Synopsis: Mudshark is cool. He's fast-thinking and fast-moving, and with his photographic memory, he's the go-to guy with the answers. Lost your shoe? Can't find your homework? Ask Mudshark. At least, until the Psychic Parrot takes up residence in the school library. The word in school is that the parrot can out-think Mudshark. And right now, the school needs someone who's good at solving problems. There's an escaped gerbil running the halls, a near-nuclear emergency in the faculty restroom, and an unexplained phenomenon involving disappearing erasers. Once Mudshark solves the mystery of the erasers, he plans to investigate the Psychic Parrot. . . .
Why I liked it: This has to be the shortest MG book I've ever read. At 83 pages, and with fairly large print, this would have strong appeal for reluctant readers. But mostly it's downright funny, in a silly sort of way. 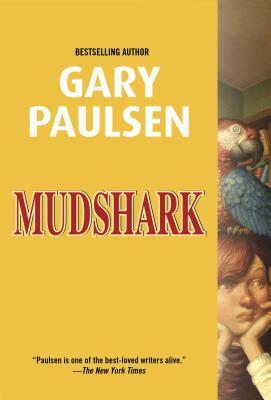 Gary Paulsen manages to pack a lot into those 83 pages -- his characters are quirky, his dialogue is spot-on, and the mystery is intriguing (as an adult reader, though, I admit I found it a bit anticlimactic). 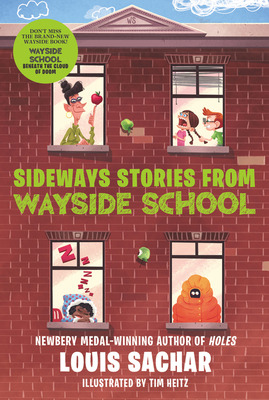 That may be why all kinds of funny things happen at Wayside School...especially on the thirtieth floor. You'll meet Mrs. Gorf, the meanest teacher of all, terrible Todd, who always gets sent home early, and John who can read only upside down--along with all the other kids in the crazy mixed-up school that came out sideways. What I thought: This was Louis Sachar's first published book (and Louis is the yard teacher at Wayside School). I'm sure I read this many years ago, but I really didn't remember much of it. This time around, I found it a little odd, to say the least. There were quite a few laugh-out-loud moments, but on the whole I prefer Holes. However, if you have a kid reader with an unusual sense of humor (my younger son adored this book in third grade), these strange little stories would be just right. And they're very short. So there's that. 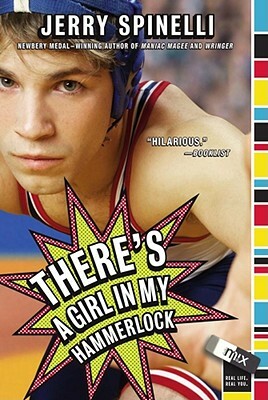 Synopsis: Maisie Potter isn't quite sure why she signed up for the boys' wrestling team. She's never been all that interested in boys, so it can't have anything to do with Eric Delong, in spite of the disturbing effect his smile has on her. And she's certainly not prepared for the effect her presence on the team has on the people around her. Why I liked it: Maisie! She's feisty and stubborn and really comes to life here. You know I love Jerry Spinelli books, and usually the more serious ones, like Maniac Magee or Stargirl. This book has some really funny moments, and Spinelli's trademark older kid/younger kid interaction (Maisie has a kid sister named P.K. who's adorable) but at the same time tackles a serious subject: gender stereotyping. Note: When the hardcover was published in 1991, this may have broken new ground, but today it does seem a little dated. And I find the title and this newer cover image misleading. It's written from Maisie's POV. But this book was by far my favorite of the three. So what have I learned from my research? -- Many contemporary middle grade books have a humorous element even if they're not "funny" books. -- Laugh-out-loud books are NOT the ones I remember the most or love the most. -- Humor can't be forced. What do you think? Are the funny MG books the ones you remember and love? Or the deeper, more serious books? What does this book have to do with Mother's Day? Visit Random Acts of Reading to find out! So how did I do for Screen-Free Week? Well... I have to admit it was hard. Mistakes were made, which ties in perfectly with the book I'm featuring this week. I managed to stay off Facebook, Twitter, LinkedIn, YouTube -- no problem. Staying away from TV was not that big a deal, since I don't watch that much anyway. Except, gulp, Jeopardy! I actually watched it the first night without thinking. Mea culpa. Mistakes were made. Staying away from all of your blogs and my own was tough. Okay, yes, I admit I visited Katia's because it's in my email feed and when I saw that I'd won a book from her I had to go thank her! And DL Hammons was having a contest... So yes, mistakes were made. You may not realize how often you use the internet in your daily life. 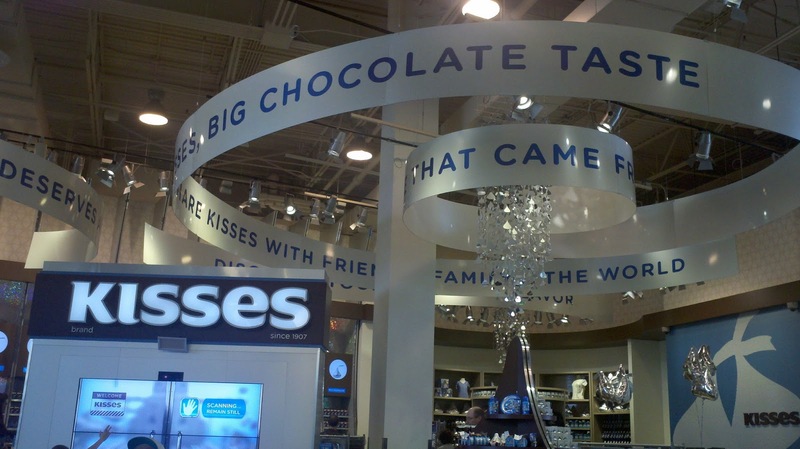 First thing Monday April 29th, I turned on my laptop to look up directions to this place*, and I thought, Wait a minute! I can't do this. It's Screen-Free Week. I continued to struggle with this for days. I wanted to look up a thousand things. 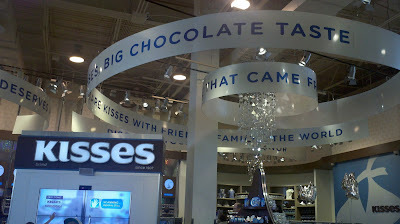 For the most part, I was able to stay away, but it was difficult. How quickly we've all become accustomed to instant information. Now for another Marvelous Middle Grade Monday (brainchild of Shannon Messenger). I'm also participating in Deb Marshall's May Middle Grade Reading Challenge. Go see what that's all about! Synopsis (from Indiebound): Take Timmy Failure — the clueless, comically self-confident CEO of the best detective agency in town, perhaps even the nation. Add his impressively lazy business partner, a very large polar bear named Total. Throw in the Failuremobile — Timmy’s mom’s Segway — and what you have is Total Failure, Inc., a global enterprise destined to make Timmy so rich his mother won’t have to stress out about the bills anymore. Of course, Timmy’s plan does not include the four-foot-tall female whose name shall not be uttered. And it doesn’t include Rollo Tookus, who is so obsessed with getting into "Stanfurd" that he can’t carry out a no-brainer spy mission. Why I liked it: It's hilarious! Timmy's constant misinterpretation of the clues makes him a bumbling detective like Peter Sellers in the Pink Panther movies. 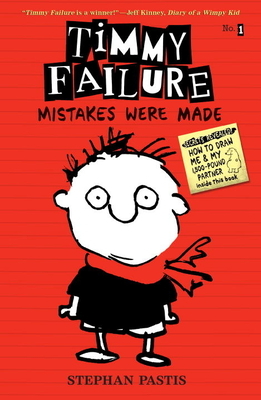 This will definitely appeal to fans of Wimpy Kid and Big Nate and should be a hit with reluctant readers. The chapters are short and accompanied by lots of drawings. The characters are quirky (I love the librarian, who looks like he belongs in Hell's Angels). The illustrations definitely add to the charm, as they're often showing something different from what Timmy is telling us. If Stephan Pastis sounds familiar, he's a cartoonist and the creator of Pearls Before Swine. This is his first book for children. Have you read Timmy Failure? If not, what illustrated middle-grade book is your favorite?